By Spencer. “Don’t you wish you could go back? 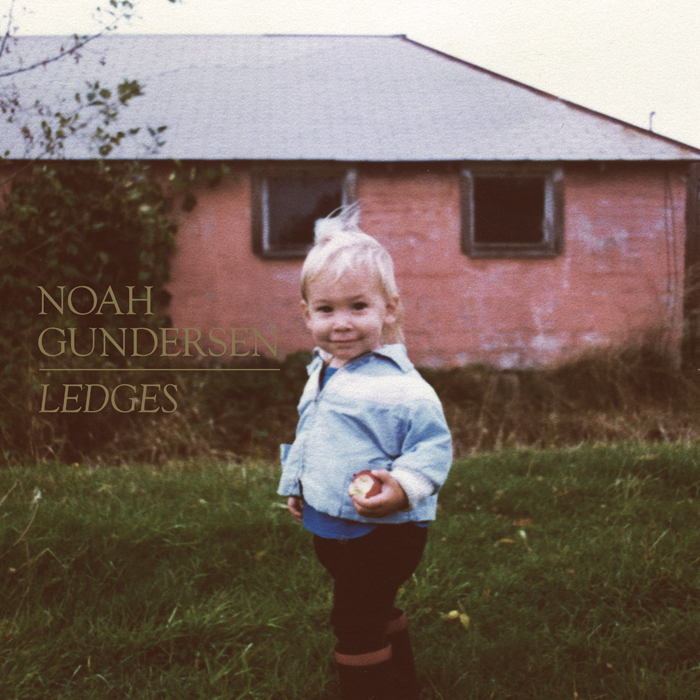 / When your heart sang like a burning branch / When your songs sang themselves from the bottom of a well,” Seattle singer/songwriter Noah Gundersen sings on “Separator,” from his latest album, Ledges. And yes, I do wish that. I wish more music still felt that way. But even though Gundersen asks the question in the past tense, he doesn’t need to — at least not where his own music is concerned. Because the songs on Ledges feel like something out of the past, something that aches like lost chances and burned-out youth. Which is to say, they make you feel alive in all the best ways. Gundersen, 25, has previously recorded with a couple of lesser-known bands, Beneath Oceans and The Courage. But if Ledges and its predecessor, Family, are any indication, Gundersen is at his best when he flies solo. It’s only his voice, unaccompanied by any instrumentation, that opens the album with “Poor Man’s Son,” a piece of Southern roots so timeless it could be mistaken for a sharecropper’s work song or an outtake from the O Brother, Where Art Thou? soundtrack. A choir joins him a capella, and eventually just a hint of acoustic guitar, and the song builds and builds into screams of joy worthy of the gospels, until the whole thing collapses in a moment of happy exhaustion. It’s a song whose sparseness speaks to the power of music as both a source of community and a window into intimacy. And that’s just the opening track. These moments of energy give Ledges a cohesive flow that breaks the heartache, but it’s the quieter moments that cut the deepest. Foremost among these is “First Defeat,” a devastating portrait of a breakup in progress. “You discover that home is not a person or a place / But a feeling you can’t get back,” he sings — lines that, I suspect, will etch themselves into my memory and reassert themselves in many a life moment to come. “This will be the last time,” Gundersen says over and over, as if to convince himself of that, and then the song crescendos alongside his anger until those last quiet bars where the piano and the strings back away and Gundersen’s voice cracks as he repeats the refrain once more — “This will be the last time” — only now it’s with quiet acceptance. If “First Defeat” is an emotional breakdown, then “Liberator” comes along like a moment of healing. It’s a look back at presumably the same woman, but here Gundersen seems to revel in some of his happier memories as he speaks to her from a distance: “I’m not thinking of you / Not the way you want me to / Honey, I’m not thinking of you anymore.” Of course it’s not true, but when someone can make you feel like that, why would you want it to be? Gundersen is young and full of regrets and questions. He asks them eloquently (“Was it something special? / Or just another way out? / Like the credits to a movie / Or seeing Jesus in a time of doubt”). Ledges is a beautiful work, and its beauty comes from Gundersen’s youth. He is speaking to us from those years when you feel everything so much more because, for the first time, you’re starting to lose things and lose people that really matter to you. And the pain of that loss seems so much more unbearable by the fact that you know you have a whole lifetime yet to come and all those years to keep remembering. That feeling fades, of course, and it all turns out alright — but Gundersen doesn’t know that. Not yet. He’s got his whole future ahead of him and yet he’s perpetually looking back. As listeners, we’re fortunate for that.